Are oil filled electric radiators efficient? 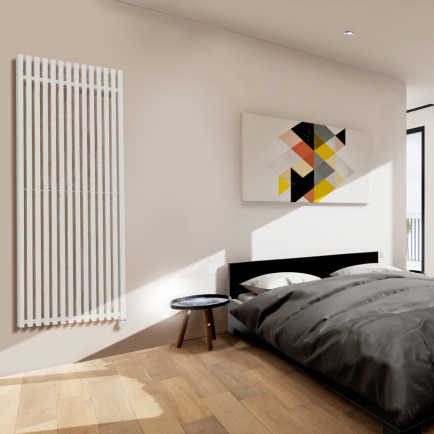 The oil filled radiators you will find at Electric Radiators Direct have come a long way from the bulky cast iron oil-filled radiators you might have used as top-up heaters in the past. We sell oil-filled electric radiators that are designed to be used as a primary heating system that can heat up your entire home quickly and efficiently – just like central heating radiators – as well as cheap, portable oil-filled electric radiators that are ideal for on-demand, occasional heating. The oil inside the radiators is specially formulated for optimum heat retention. When the radiator is switched on it heats up the thermal fluid, which spreads heat evenly across the surface of the radiator. It also heats up the inside of the radiator so that any air passing through the radiator is warmed up. The excellent heat retention properties of the fluid prevent the radiator working too hard to maintain comfort temperatures – saving you money on your heating bills. Oil filled electric radiators are sometimes called thermal fluid electric radiators to distinguish them from old-fashioned oil-filled electric radiators. What size oil filled radiator do I need? Our oil filled electric radiators can be used throughout your home as an efficient primary heating system. To choose the size of your oil filled radiators you will need to calculate the total wattage required to heat the size of your room. You can use our simple radiator calculator to do this – all you have to do is enter the dimensions of your room and answer a few questions about your insulation and property type. Then you will need to find a radiator, or combination of radiators, that adds up to or exceed your required wattage. Make sure you do not choose radiators which are too small. Under-specifying your heating forces your radiators to work harder and less efficiently to heat the room, and they may not be able to keep the space comfortably warm. Always go for the next size up if your chosen radiators don’t quite make up your required wattage. 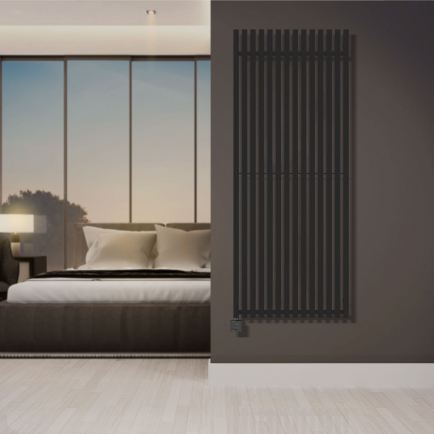 Why choose an oil filled electric radiator? We sell electric radiators with all kinds of different heating elements, so why choose an oil filled electric radiator? Well, oil and thermal fluid filled radiators have two main benefits. Firstly, they ensure an even heat distribution. The thermal fluid heats evenly along the entire surface area of the radiator, whilst radiators with solid state heating elements may have cold spots where the heating element is furthest from the surface. Secondly, thermal fluid elements can be specially formulated to maximise heat retention. Superior heat retention makes a radiator more efficient, because it does not need to use so much power to maintain its heat. Oil filled radiators typically take longer to heat up than aluminium element radiators, but they also take longer to cool down. This makes them a more efficient choice in larger rooms or rooms that are in constant use. We stock oil filled electric radiators for permanent installation as well as a range of portable electric radiators. For occasional heating throughout the home, a portable oil filled radiator is ideal – providing the same great heat retention and distribution but with the option to wheel the radiator around to wherever it’s needed. These cheap oil filled radiators are not suitable for permanent use however and we would always recommend one of our more sophisticated radiators for constant all day use. How do you install an oil filled radiator? Oil filled radiators are easy to install. The fluid is fully encapsulated within the radiator body so you won’t need to get messy. All you need to do is screw the radiators to the wall and plug them into the nearest socket. It’s an easy job that requires the minimum of DIY knowledge. Alternatively you can have the radiators hardwired into the wall by a professional electrician. We also stock portable oil filled electric radiators that can be wheeled around the home to wherever they’re needed most. These cheap electric radiators come with castor wheels and simply plug into the wall for occasional, on-demand heating that’s perfect for supplementing an existing heating system. For continual use, we’d always recommend one of our wall-mounted oil filled electric radiators. Can oil filled electric radiators leak? Oil filled electric radiators, unlike central heating radiators, are very unlikely to leak. The fluid is fully encapsulated inside the radiators; they are not fitted with valves and they are not designed to be opened or topped up. Oil filled radiators will only leak if they are badly damaged. Oil filled electric radiators have come a long way from the old-fashioned designs of yesteryear. For the modern home, oil filled electric radiators provide an economical and fully controllable heating solution, with a wide range of energy saving features from high precision thermostats to 24/7 programmers. We stock low-cost, portable electric radiators, ideal for occasional use throughout the home, as well as more sophisticated oil-filled heating systems that can be used all day, every day. Whichever you choose, our oil filled electric radiators are controllable, energy-efficient, and provide unparalleled even heat distribution.